Sports bar Happy Days is located within Singapore’s Bedok Point Mall, at 799 New Upper Changi Road. Happy Days, a NTUC owned clubhouse, provides exciting recreation to its members and guests. During the day, the clubhouse is a functional workspace, with 2halveS @ Happy Days featuring a range of facilities, such as WiFi, breakout areas and meeting rooms, to cater to all your work and study needs. By nightfall, meanwhile, the comfortable and cosy clubhouse becomes a chill-out lounge with live music and telecast of Premier League and other sports. With dart machines and a pool table, the clubhouse is also a great place to host celebrations and get-togethers. The recreation choices at the clubhouse include a 7-feet pool table. two DartsLive machines, live EPL and sports screening, a foosball table, as well as live-band & house music (Heart and Soul every Thursday & Raw Energy every Friday and Saturday). 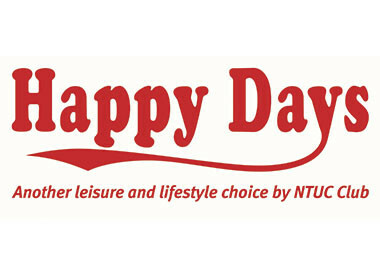 To learn more about the available NTUC member discounts and benefits at the Happy Days sports bar, you can visit the organization’s official website for clubhouses. The official website, at ntucclub.com. also has information on all the other NTUC Club lifestyle destinations in Singapore.